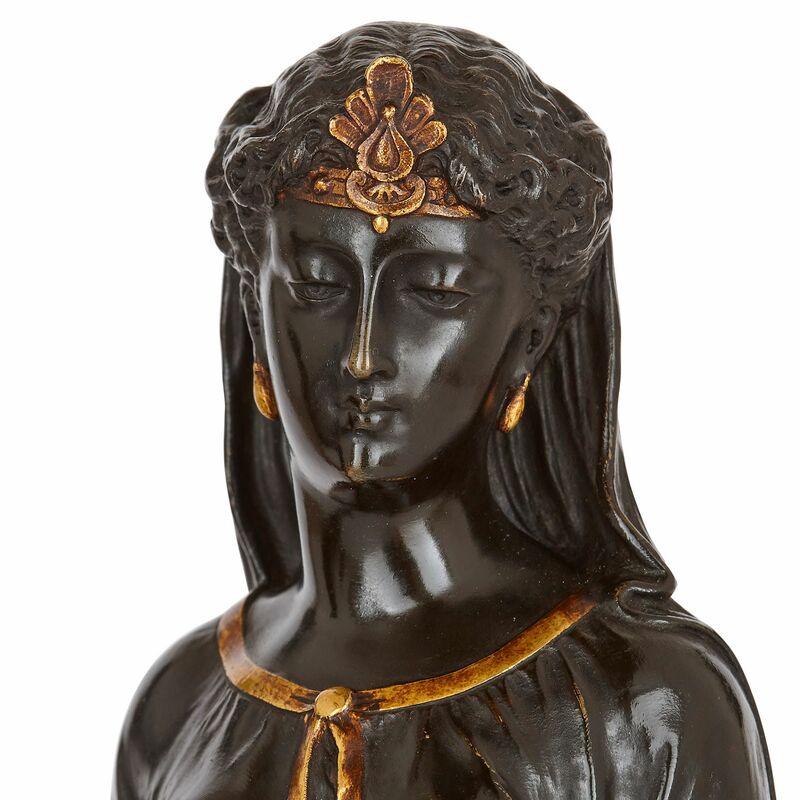 These charming, small-scale Orientalist sculptures of Egyptian women have been beautifully cast in bronze, and finely gilt and patinated. 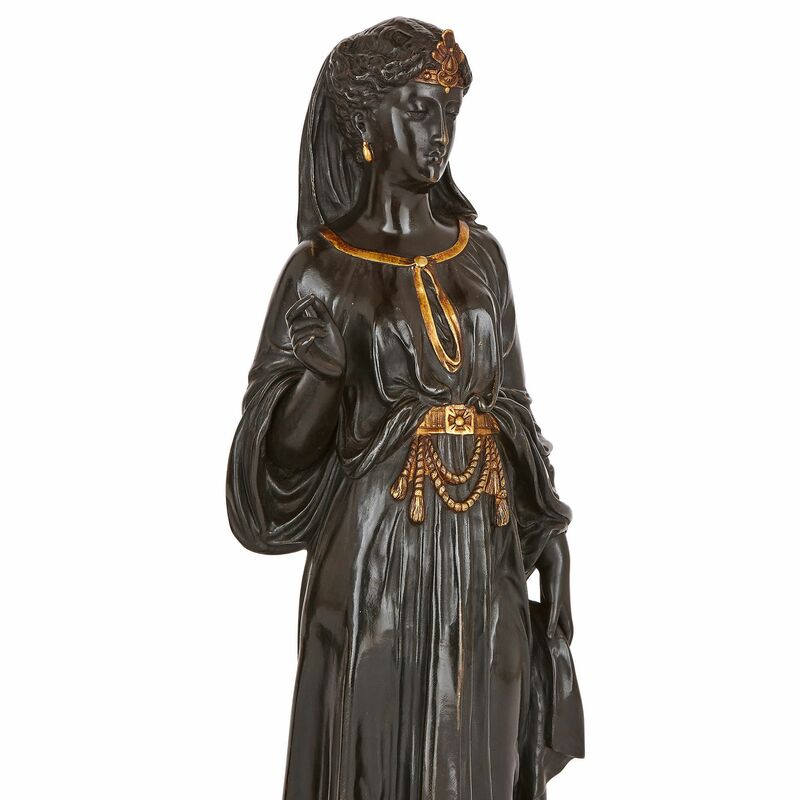 The sculptures depict two young women in Egyptian dress. 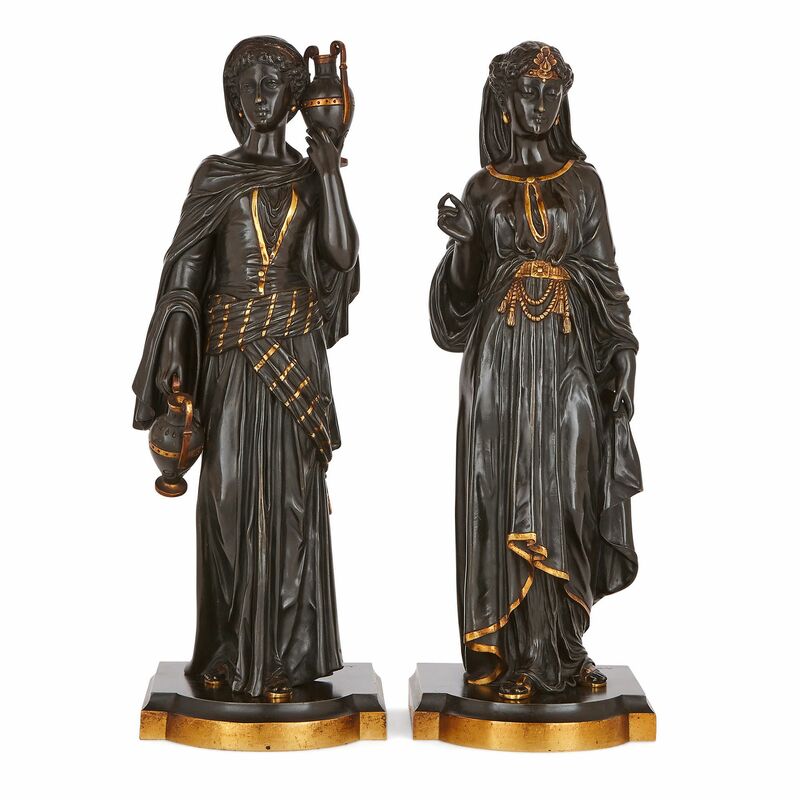 The figures stand on slim, rectangular gilt and patinated bronze plinths, with curved fronts. One figure wears a long dress, with a striped piece of drapery tied around her waist. A shawl is tied around her shoulders, and she wears a headscarf. 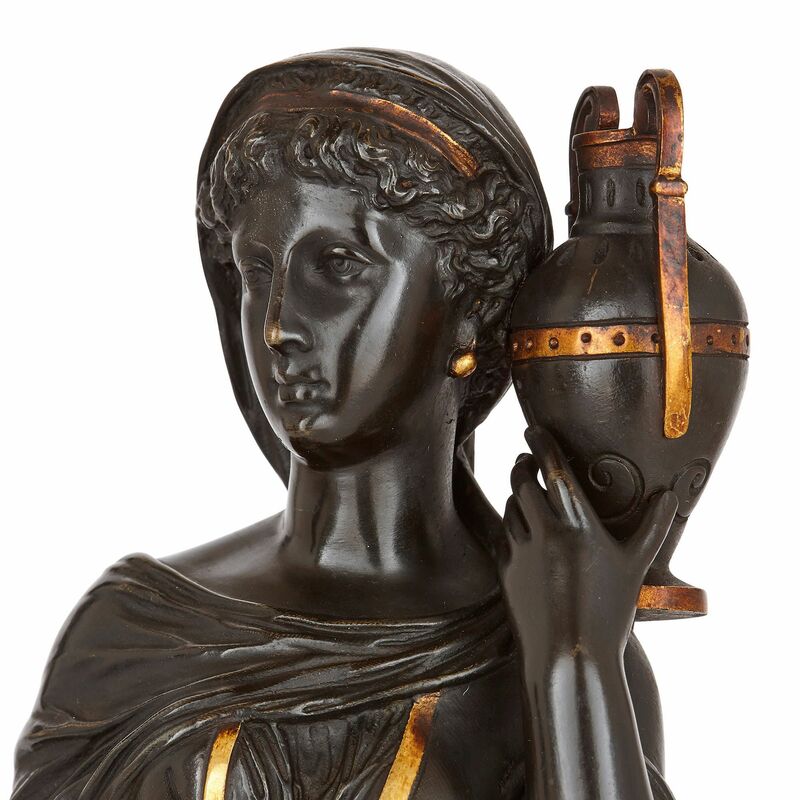 The woman holds an urn in each hand – one is held by her side, and the other held up against her cheek. The second figure is similarly dressed in a draped gown, which is secured by a tasselled rope belt. She wears a decorative headpiece, and her hair is partially covered by a scarf. Her left hand clasps her dress, and her right is raised in front of her. Gilding has been used to articulate different parts of the women’s clothing and accessories. The linings of their dresses, their sandals, belts, jewellery and parts of the urns, have been gilt. 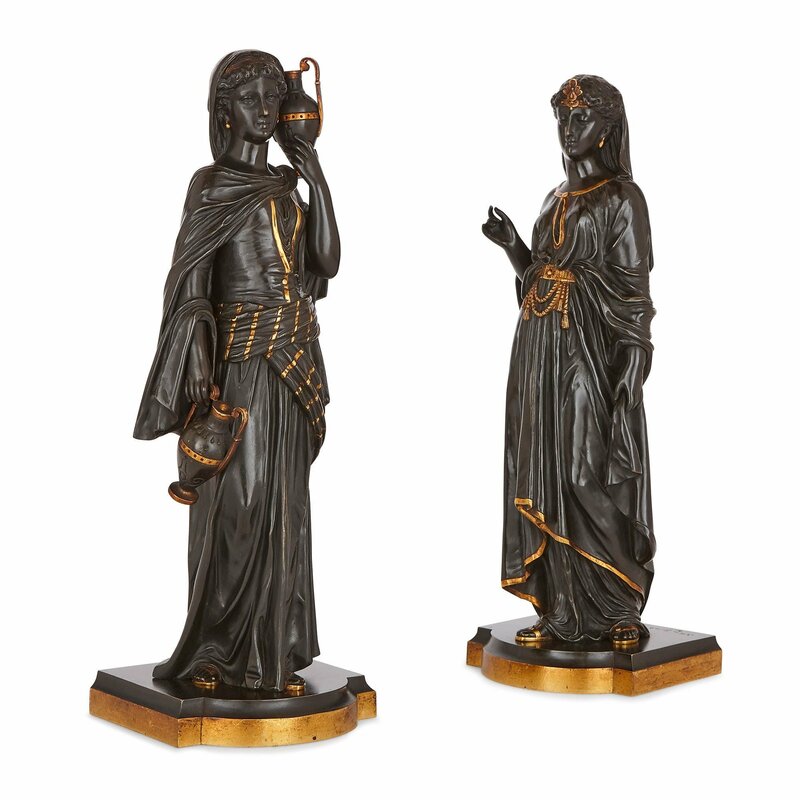 These gilt areas contrast beautifully with the dark patina that covers the bronze sculptures. 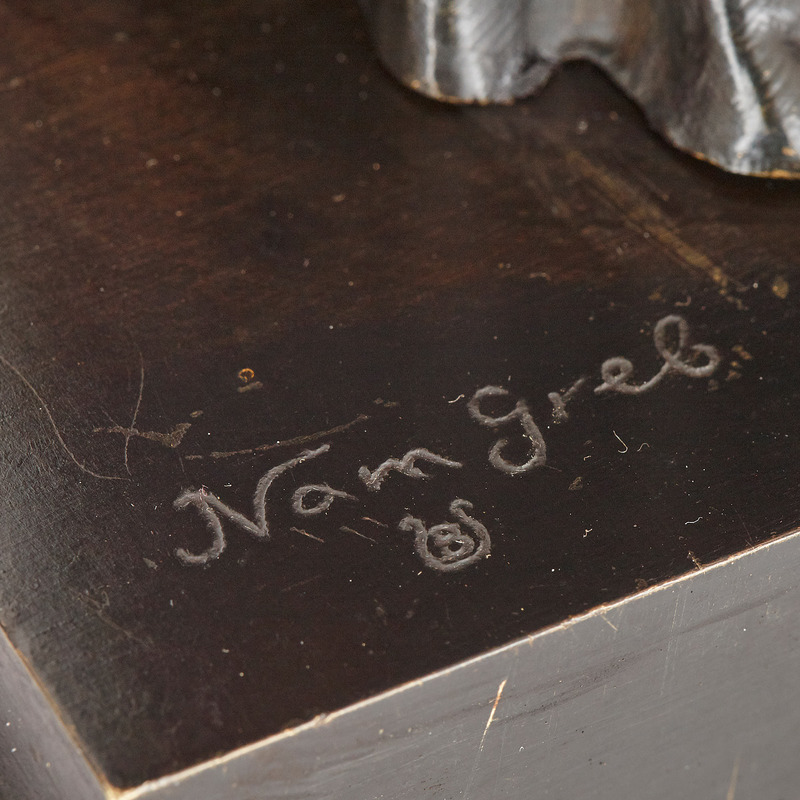 The sculpture of the woman in the headpiece is signed, ‘Nam Greb’, followed by an ‘8’ within a ‘U’. This indicates that the items were modelled after the Bergman ('Nam Greb' backwards) foundry. Bergman was a famous Austrian firm that specialised in the production of small patinated and cold-painted bronze pieces. 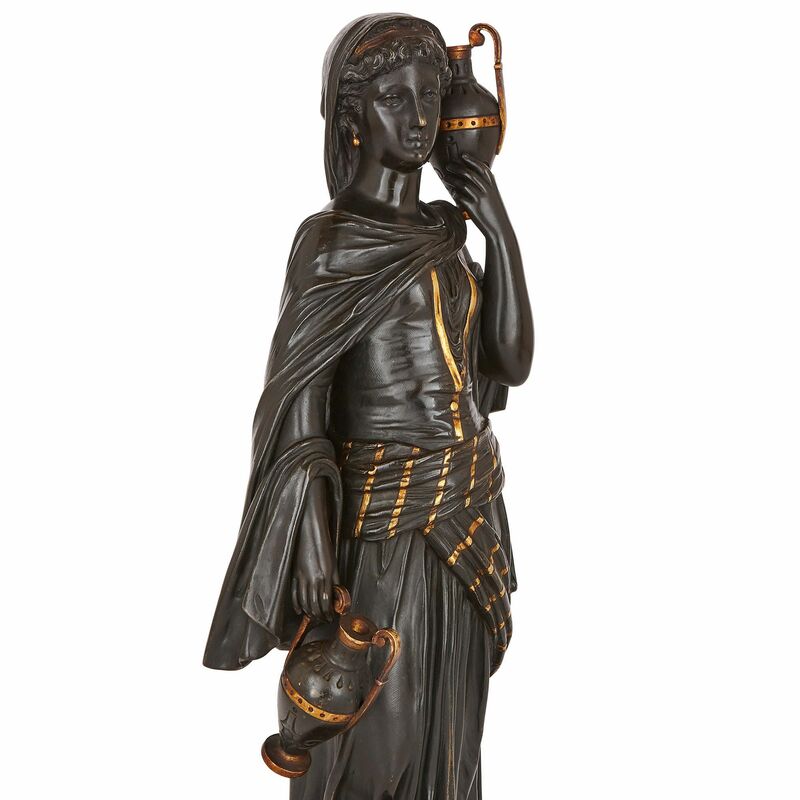 These items were widely collected by the European elite in the 19th and early 20th Century.